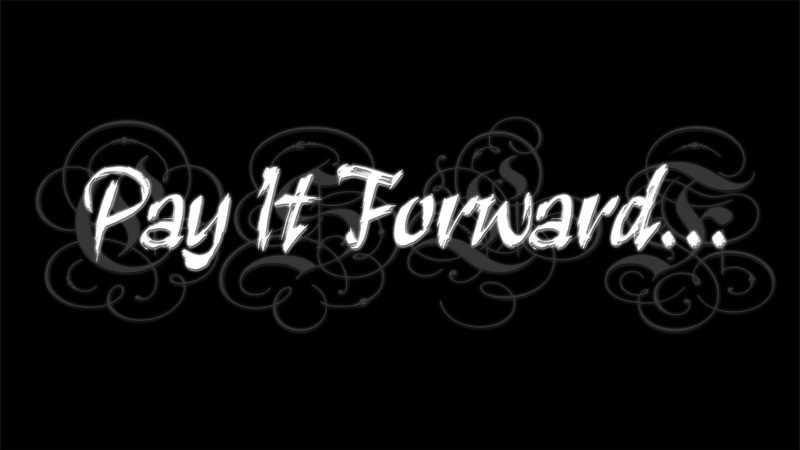 Pay It Forward RT 2014 CHALLENGE–Collect, Donate and WIN! to those who cannot access books of their own. 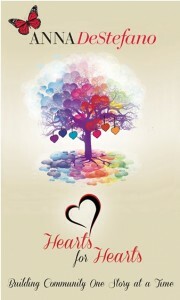 I challenge readers and authors to help me donate 50,000 books by the end of 2014, through my Hearts for Hearts Initiative. And RT 2014 is the PERFECT opportunity to make HUGE headway in our goal. How do you win $100 for the charity of your choice? 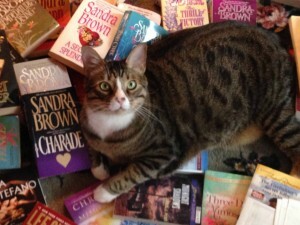 Set aside books from the free ones you collect at the 2014 Romantic Times convention in New Orleans, to donate to your community. It costs you nothing! Not going to RT2014? 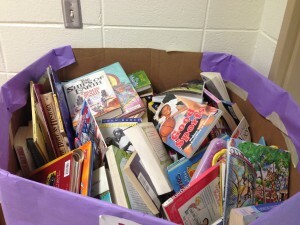 Select books from your personal library to donate, find somewhere in your community to share them, and you’re in! Report what you’ve collected and where you want it to go in your community, on the Anna DeStefano Author FB page or in the comments of this blog post. I’ll be talking more in both places about the Pay It Forward RT Challenge and Hearts for Hearts, from now through the convention. I will choose a randomly selected winner from all who participate. The winner will be announced on the Anna DeStefano Author FB Page, and contacted from FaceBook (or via email, if you comment here), to ask where you’d like your $100 Prize donated! Together, we’ll build community, one story at a time! By commenting/participating, you release Facebook from any involvement in or responsibility for this contest. Who do you know, who is where you’ve been, waiting for you to help them stretch their wings and soar far beyond their dreams? Just about a year ago, I was asked to mentor a math/science wiz at my son’s magnet high school, who wanted to write a novel–a collection of short stories, actually. During our first meeting I realized that she in fact wanted to PUBLISH said novel. And as of this week, twelve months of hard work and back and forth and a lot of generous industry professionals pitching in to help later, she has. Working with someone with stars in her eyes each time we talked about making her stories better and putting them out in the world for others to read has meant everything to me. I’ve received so much more than I’ve donated to this project, in inspiration and energy and the thrill of witnessing a seemingly impossible dream come true. More to come on this project–I’ll write a full article soon about her journey and every single goddess in this industry who’s stepped in to make this happen. But for now, as you help me celebrate Chinye Ijeli’s Fresco, I ask you to consider paying forward your gifts and talents and connections by helping someone else reach their goals and beyond! Mentoring. This Pay It Forward Friday’s focus. Look into it. You’ll be glad you did! I will be grateful for every person I connect with today, letting them know whenever possible. 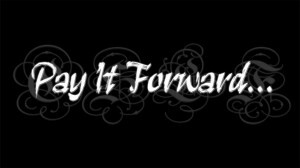 What will you “Pay Forward” today? What will you Pay Forward today? Pay it forward. We like the sound of it. We learn the difficulty of it. We must find our own way to it. We must make it real on a personal level, before it becomes a guiding force in our lives. For me, that way began with Building Community One Story at a Time, which is my 2014 challenge: for this blog going forward, for the life I’ve been blessed to have, for my family and writing and service and teaching and editing and mental well-being. I’ve already experienced some amazing results this year, trying my personal Pay It Forward mantra on for size, taking it out for a spin, stretching it at the seams to see what gives, throwing a pebble into the stream and searching the ripples for what is real… You get the picture. And you’ll get more details here, daily. I’m so excited to share. I hope to inspire. I long to create a space where others can’t wait to do the same. It’s time to turn up the volume and live my 2014 challenge out loud. Meditating on what could be my chance to give is no longer enough for me. There’s more calling me than thinking about it. There’s more calling each of us. Deadlines and responsibilities and demands and successes and failures and fears and dreams aside, there’s life to live. And paying what I’ve found forward, feeding myself with the energy of feeding others however I can, is that life for me. Living on “building” others up, in tangible and intangible ways every day, is already changing me. More than I could have imagined. It will change you, too. I challenge you to find out just how much. What does it mean to me? I’m not sure yet, but I’ll be finding my way out here every day. I invite you to search and experiment and share what you find, right along with me. 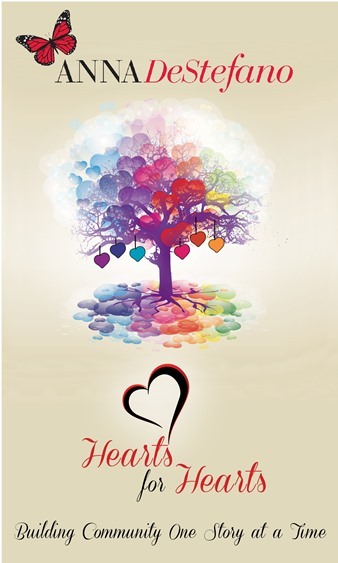 Begun a book-donation/community-based charity (Hearts for Hearts) and inspired friends, family, writers, publishing professionals and neighbors to donate thousands of books to those in need in their communities. 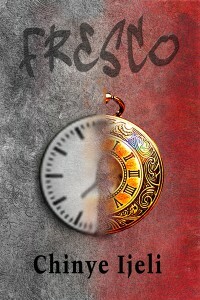 Mentored a high school senior, helping her (with assistance from more rock star publishing pro friends of mine) write, revise, edit, create cover art for and (very soon) indie publish her first novel on Smashwords. 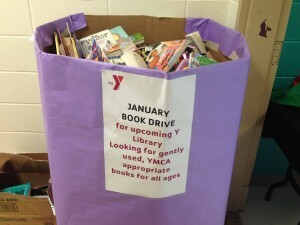 Seeded a book donation program at my YMCA that drove member participation and resulted in a landslide of books and TWO community libraries (adult and children’s) for members who can’t afford to buy their own, all in a matter of months and launching by the end of April. A dream come true, and Hearts for Hearts is only getting started. Begun a non-fiction project to share with other mothers/parents my experience raising and letting go of my teenager, proceeds of which will fund another, to-be-named, community-based assistance program for families not as lucky as mine who must conquer challenges I can’t possibly imagine WHILE dealing the insanity that is loving, inspiring, guiding and letting go of our children as they grow. Started mentoring/freelance editing again for a few select clients, feeding my passion for helping writers learn how to create the very best they can and set their voice free in the world for readers to find. Finished one new novel (a long novella, actually), and begun a second, in a new series about community and family and the struggles beneath the seeming calm in the ordered world so many of us see when we look out our suburban windows. By the end of 2014 I will be close to completing a third, and I could be more excited about the spin-off on Mimosa Lane (younger and full of energy and light AND deeper emotions and challenges and successes!) my publishers supporting! Given a keynote at a reader event, focused more on the “person” of my reader/writer audience than the business of publishing. I have another scheduled for the fall. I couldn’t be more excited–more than I’ve been about any writer/publishing event I’ve been asked to speak at for years. The energy of immersing myself in that kind of “inspiring” opportunity was a revelation. Delayed Valentine’s Day? Let’s delay it all year! I live in the arctic tundra… I mean, in the balmy Deep South. In the last three weeks, we’ve had more snow and ice than we have in the last ten years–COMBINED. No one hundreds of miles of us has been able to leave their house for days this time around, let alone shop for their sweethearts. So what does The Rumpus recommend you do? 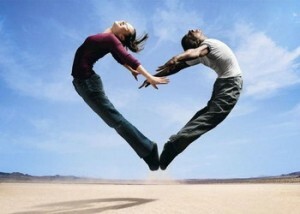 That’s right, The Rumpus… A kick asz cool site, and they’re spreading the word about Hearts for Hearts. Looking for a last-minute Valentine’s Day gift for the book-lover in your life? Why not pay that gift forward to your community? There’s a lot of “Holy Valentine’s Day Interruptus Batman” going on around all over the place today. But what if Valentine’s weren’t about a single day? What if sharing love and inspiration and relaxation and escape were an everyday thing? 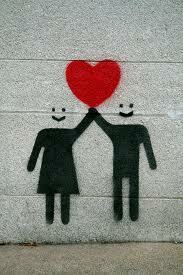 That’s what we want Hearts for Hearts to be. It’s a call to look closer at the community around you and find a way to help (the way the characters in my not-so-light-and-fluffy romance novels do). 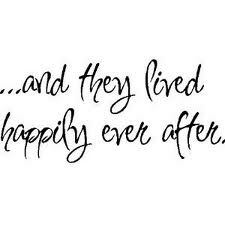 In my stories, there are always happy endings. But my characters and readers work harder than in a lot of other novels for their bright and shiny endings. The deeper emotions I hope their challenges stir ring truer to life, at least to me, and that makes the victories I live to write for these hard-working characters even more fulfilling. 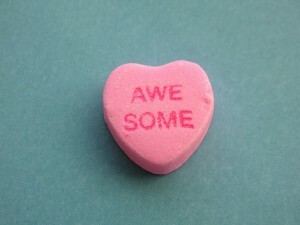 So, yes, I write candy, hearts and flowers stories. Sort of. And I live in a candy, hearts and flowers neighborhood. Sort of. But just a mile or so from me, there are pockets of need that I’ve been able to serve–by doing nothing more than giving away books. Books I’ve written, books I’ve read and loved, books my friends have been thrilled to share, too. 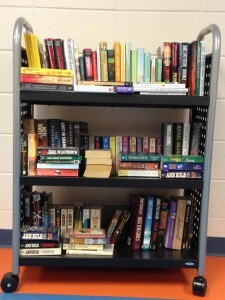 My friends and I have personally given story (romance, fantasy, mystery, young adult, inspiration, non-fiction, you name it) to families living below the poverty level, foster care facilities, nursing homes, and even our local YMCA, where Hearts for Hearts has seeded new children and adult libraries for their members, many of whom join via scholarship. 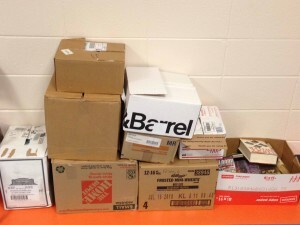 And the donations just keep pouring in…. 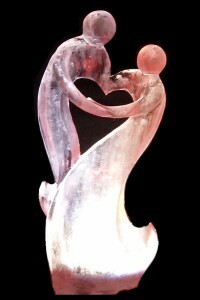 Love… What it means to you and me? The best love stories are about so much more than the romance on the surface, even when the happily ever after ending is what all romance readers look for. 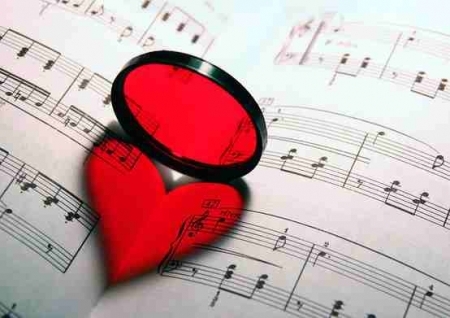 Some romance readers like sassy, some like funny, some like sweet, some spooky or dramatic or heart-pounding. But we’re all going readers reading for an ending that inspires and encourages and gives up hope that our lives could be just as well-crafted and happily-ended. But love stories can be about so much more. I want that CONQUER THE WORLD reality for my characters, my readers, and myself. I want the the kind of happy ending we all hope for, no matter what gets in our way. The one where we’ll fight, and we’ll never fight alone, until we claim our HEA. And I HEART stories where kids are fought for and families are fought for and communities are fought for, no matter their challenges.